This monotypic species is distributed in Middle East, Asia Minor, Caucasus, Transcaucasia, and Southern Russia. Discovery of Anatolian Skipper in Armenia can be dated by 2008, when unknown Hesperidae larvae was found on the leaf of Phlomis persicus. Unfortunately, the larvae died (having parasites inside) and the species of butterfly remained unidentified. 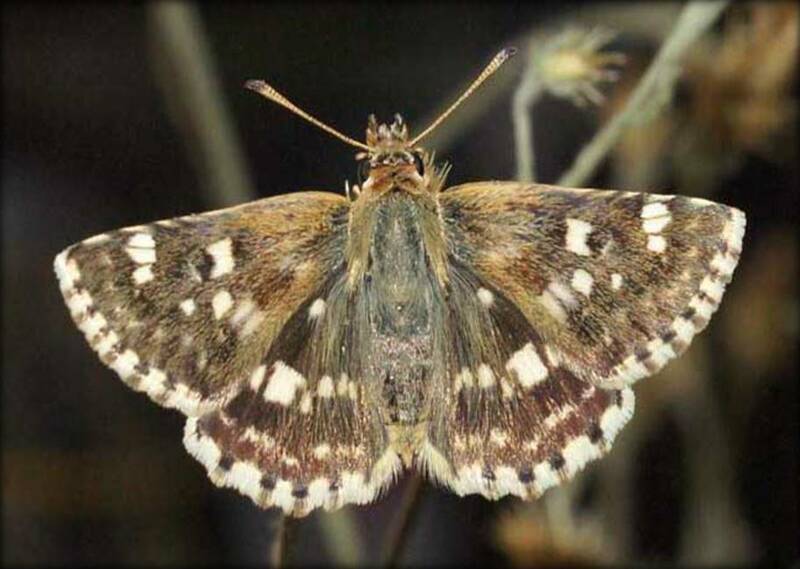 Some investigations implemented after that allow understanding (in 2011) that the species is Anatolian Skipper, which is distributed at the calcareous grasslands at the elevation range between 1000 and 1600 m a.s.l. The species flies even later than closely related Sage Skipper – in late August to late September (sometimes even early October) in one generation. The Phlomis persicus remains the only known host plant of the species. Late discovery of Anatolian Skipper in Armenia doesn’t allow computation of the species’ population trend. The Anatolian Skipper has not been evaluated for Global, European and National Red lists, as well as is not included in CITES and Bern Conventions. Obviously, the National conservation status of the species can be assessed as Data Deficient. 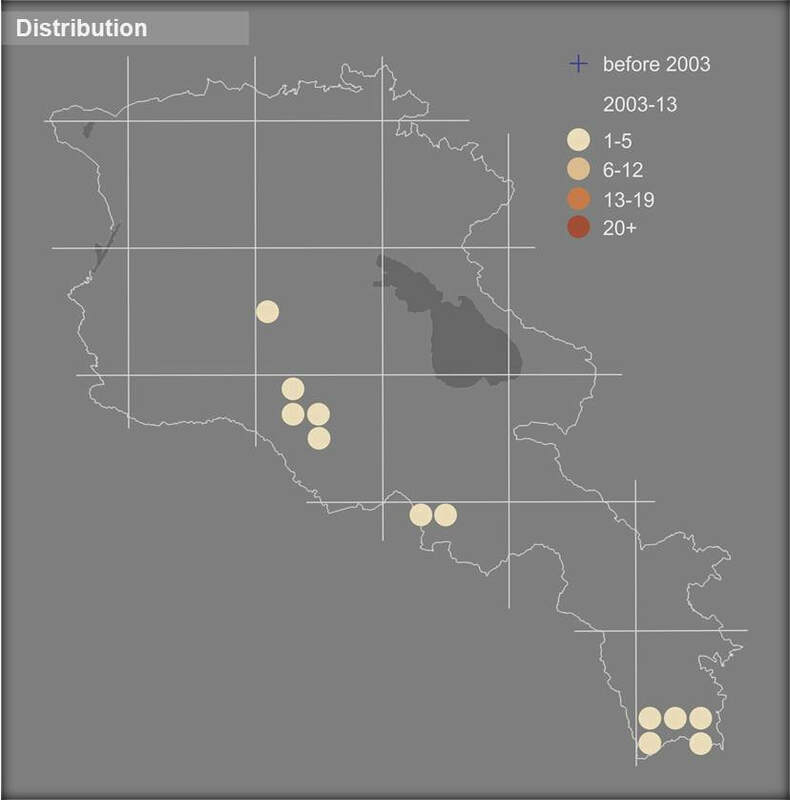 Despite on that it appears that some populations of the species are covered by Protected Areas and some Emerald Sites. Meanwhile the threats are unknown, and it is suggested to develop and implement further study of the species’ distribution, abundance and biological traits, as well as evaluation of the current and potential threats, which can allow proper assessment of the conservation status.